Asthma is a common upper respiratory tract disease that affects many people. It is caused when mucous or phlegm gets trapped in the airways which passes air to the respiratory system. It makes breathing difficult and causes inflammation on the lining of lungs and the airways. Some symptoms include shortness of breath, chest tightness, coughing, wheezing, etc. There is no cure for asthma, however there are many kitchen ingredients to control its intensity and frequency. Once of the ingredients is turmeric. Turmeric helps to give quick relief from asthma and its symptoms. It comes from curcuma longa plant and belongs to ginger family. Below are tumeric’s properties with an explanation on how it is used to treat asthma problem. It has anti – inflammatory property that helps to clear the mucus in the lungs and soothes the irritation or the inflammation caused due to blockage of airways. It has anti-septic and antibacterial properties that help to kill the infection which further. It enhances liver functioning and prevents the blockage of airways. Curcumin is an enzyme or pigment of turmeric which is very effective in controlling bronchial asthma. It gives relief from the inflammation of the wind pipe of air way. It helps to dilate the blood vessels that allows for better air flow, restores normal breathing patterns, relaxes the muscle spasms, thins the blood and finally gives relief from the asthmatic inflammation which causes swelling in the lungs and trouble breathing. Generally, the allergic asthma is caused when the T – lymphocytes from immune system releases a specific compound that causes inflammation and irritation. Turmeric blocks the release of this, and regulates the frequency of asthma attacks. It contains rich amounts of minerals like iron, potassium, manganese, vitamin B6 and fiber which helps to boost up the immune system. Curcumin lowers the inflammatory enzymes known as COX – 2 and LOX to give relief from asthma. Follow these remedies to clear the blockage of airways by preventing phlegm and congestion in bronchioles and reduces the asthma attack along with its intensity and symptoms. Stir in 1 teaspoon of turmeric powder in a glass of warm milk. Drink and repeat this thrice a day. You can also use turmeric capsules or pills or tincture. Consume 1/4 teaspoon of turmeric powder 3 – 4 times a day. Try this for 7 – 10 days and then increase the dosage if it shows improvement. This process is especially useful for the people those who are lactose intolerant. Mix turmeric powder, grated ginger and pepper and add these to water. Bring this to a boil and pour this in an empty glass. Allow it to cool for few minutes and then drink. Regularize this method to get relief from many respiratory problems. This process helps to give relief from the congestion of bronchioles and thereby prevents the blockage of airways. Mix 1 teaspoon of turmeric powder and 2 teaspoons of honey until they are combined properly. This process helps to give relief from the blocked bronchitis. Add ¼ teaspoon each of turmeric powder and salt to 1 glass of hot water and stir. Drink this regularly to get relief from the blocked airways. This process is widely used to prevent phlegm and thus eliminates the blockage in airways. Take a small cup and add all the ingredients in equal proportions. Stir it well until it forms a fine paste. Consume this paste for 4 – 5 times throughout the day to clear phlegm. Repeat the same process daily. This process helps to give relief from the irritation on bronchioles which can also be a cause for asthma. Mix turmeric powder, pure ghee and black pepper powder to make a fine paste. Apply this paste on the chest and throat areas and massage it gently. Repeat regularly to get relief from asthma. This process helps to clear the breathing problems that are very common while suffering from asthma. Partially roast a piece of turmeric. Add 1/4 teaspoon of this to a small glass of hot water and stir it well. Place a small piece of turmeric in a pan and add milk. Boil this for few minutes and then sweeten the milk with jaggery. Regularly drink this before going to bed to reduce asthma and its symptoms. Mix whole milk, turmeric powder and ground ginger. Stir it well and drink this first thing in the morning on an empty stomach. Place a pan of water on a medium heat. Reduce the heat and let it simmer for at least 8 – 10 minutes. Turn off the heat and strain the tea. Add raw honey or freshly squeezed lemon juice for additional flavor. Stir it once and drink. Asthmatic bouts are defined as the asthma in a difficult period. Sometimes, it occurs frequently, so turmeric will provide a quick and effective relief from these asthmatic bouts. Grind black peppercorns into a fine powder. Add turmeric powder and pure mustard oil and stir to make a fine paste. Lick this turmeric paste in the morning regularly. Blend turmeric and calotropis in a blender. Put in a pan and add any bitter oil and stir it well. Place on the stove and cook until only the oil remains. Now turn off the heat and allow it to cool for another few minutes. Strain through a cloth and store the mixture. Apply this oil on the back, chest, belly and front throat. This provides relief from the asthmatic bouts if applied regularly. The dosage for adults will depend upon the form of turmeric they are using, their health status and the tolerance levels of the particular person. So its always better to consult your doctor before using these methods. Here covers the detailed dosage of turmeric in different forms for treating asthma. Turmeric is not good for children or pregnant women. Selecting the best turmeric is essential. Purchase turmeric from herbal stores which offers genuine herbs and also don’t get confused about the many colors of turmeric, as color is not an indicator of herb quality. If you didn’t find genuine turmeric powder then you can make this powder by taking fresh turmeric roots and boiling, drying and grinding them. Store this powder in airtight sealed tins and keep them in a dry, dark and cool place. Store the fresh root in a refrigerator. Follow this tips and precautions for a safe treatment of asthma. Always remember that the exact dosage will not be same for everyone as the curcumin (active ingredient) content in turmeric might vary from one batch to another. 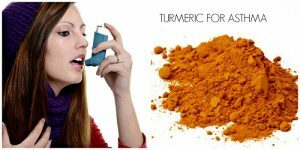 So it would be helpful, if you use bulk turmeric powder to get control over asthma. You can also inhale the smoke which comes from burning the turmeric. This smoke acts as excellent expectorant that helps to relieves you from congestion, cough and prevents blockage of airways to prevent the intensity and frequency of asthma attacks. Make sure to consult your doctor if you’re suffering from gallstones or diabetes as this turmeric will lower the blood sugar levels. These methods give relief within 15 – 30 minutes. If you don’t find any relief then immediately seek medical attention. Remember that asthma is a life threatening disease, so you have to treat this problem on time by consulting your healthcare provider. You have to use these methods regularly until you get complete relief. All these methods are effective, natural, safe and tested methods in treating asthma which give excellent results. Do you know any other turmeric methods for asthma treatment? Have you tried treating asthma with garlic? Then feel free to share your experience with us. Yes, you can add a pinch of turmeric into your morning coffee. The combination may provide you relief from asthma. Turmeric contains anti-inflammatory properties, prevents blockage in airways and boosts the immune system. While coffee contains caffeine which is similar to theophylline which is drug that helps to open up the airways in the lungs. Yes, you can. However, we recommend consulting the doctor before taking them to know whether it is appropriate as per your present health condition. Is this Temeric additive okay with this prescription? As you are taking blood thinner, we recommend to avoid taking turmeric in any form as it can interact with these medicines. I have prothrobmin mutation V, the pepper in my morning regime has helped me steer clear of any meds (warferin and such) and knock on my noodle, no DVT’s, strokes etc…8 years and counting (since I found out about the V)…I would take to the side of caution, the pepperine makes the tumeric work much better, Talk to a person of such knowlegde, I have the “V” from one parent only…. It is better to consult a physician before you give to a five year old child. Why do you say turmeric is not good for children? And if so till how many years of age? i have tried to use turmeric for my asthma controll but i haven seen better change. What should i do to control asthma. 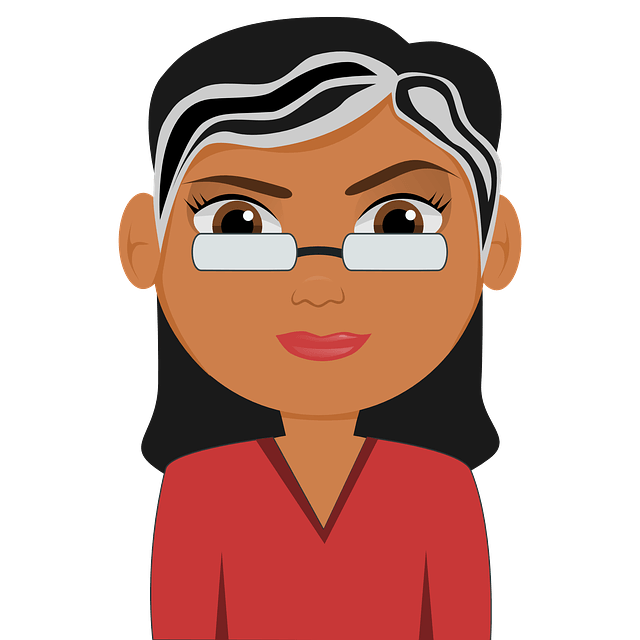 Does “Curcumin powder – 400 to 600 mg for thrice a day” mean 400 to 600 mg, 3 times per day?